Custom poker chips in 60 Seconds! Custom Poker Chips are the perfect addition for poker enthusiasts whether it be a home game, tournament and even at Casinos. Here at ThePokerDepot.com, we pride ourselves on being able to fulfill poker chip orders whether you need 5 chips or 1,000,000 chips! 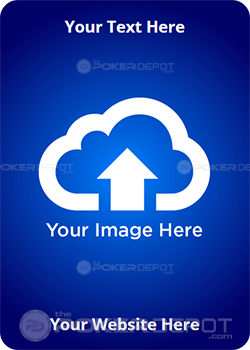 Our proprietary online custom poker chips design tool enables you to select a template, customized with your text or images, change colors and styles within 60 seconds. 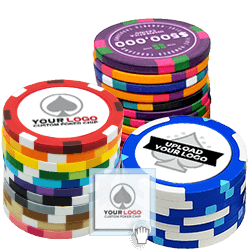 You don’t have to be an expert in graphic design, our team of designers have put together hundreds of personalized poker chips, custom poker chip sets and custom playing cards templates! You can choose any design and edit the text, image or even upload your own picture or logo. The best part about choosing custom designs from our template gallery is you can choose from several different styles of custom poker chips and change the poker chips color all in less than 1 second! If you don’t have an artistic eye or just simply would rather us create a stunning design for you; please select “Professional Design” on the product page you like and we will take it from there. Our specialty is custom clay poker chips and ceramic poker chips! Clay poker chips are ideal for instances where a high quality economical chip is desired; whereas, ceramic poker chips are the premium of poker chips. 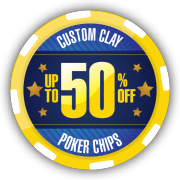 Our Legacy Clay Custom Poker Chips can be customized on the front and back within 2-3 days in most cases, but RUSH services are available to allow same day or next day shipping. Ceramic poker chips are made by Game On CHIPCO™ and are the best ceramic casino chips in the world! 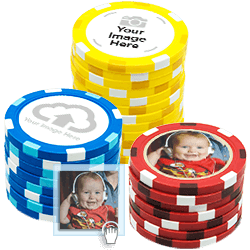 CHIPCO ceramic poker chips can be fully customized on all sides of the chip with any design, image and/or text. Our ceramic poker chips are used in casinos and poker rooms around the world; to include, Borgata Poker Room and World Poker Tour (WPT) Deepstacks events! While poker chips have been our forte since 2006; we have recently included custom poker chip case and playing cards to complete your set! There a wide range of options for poker chip cases in 100ct, 300, 500ct and 1,000ct capacities, but also in different materials such as aluminum, mahogany wood, oak wood and leather poker chip cases. 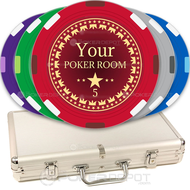 For those using these for a home game our tournament, we recommend our full custom poker chip sets which include 3 or 5 chip colors and denominations. Our premium and luxury sets are great for a personalized poker chips gift for a poker player and will make them feel like they are playing on the World Poker Tour (WPT)! Each of our poker sets come with a carrying case, poker chips and playing cards. Order Your Custom Poker Chips Today! 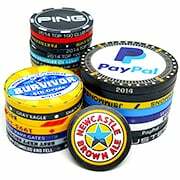 Once you place your order for personalized poker chips, custom playing cards, or any of the other great poker chips products we carry; they will be manufactured and shipped as soon as possible. Our standard production is 3-5 business days; however we have rush options to ship out in as soon as 1 business day! 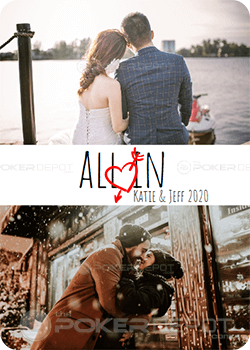 If you have a specific event date, just let us know and we will be sure to accommodate to have your personalized poker chips there. Design your own customized poker chips today! Branding/Marketing: In this day and age, everyone is trying to uniquely brand their business, product or service. A standard business card only goes so far. Custom made casino chips used for Business Cards are a great way to stand out and make a lasting impression. Poker Set: The obvious use of course is as a great gift for a poker player. 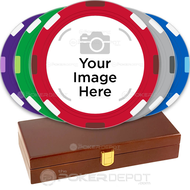 100, 200, 300, or 500 custom poker chip sets in an aluminum carrying case. 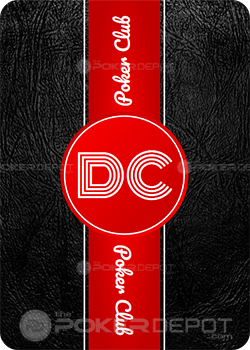 Add custom playing cards to top of the details of your poker chips set. Casino Party: If you are going to have a casino party and need ideas, there is nothing better than custom poker chips with the theme of the night. Each chip will be customized with your photo, logo or design. Great for a game of Texas Hold-Em. Personalized Wedding Favors: We all want something unique to help people remember our special day. 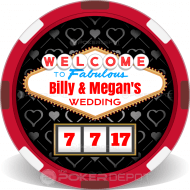 Personalized wedding poker chips are perfect to have a picture of the bride and groom on one side and a special message on the back. Of course, you can use these as table placements as well. If you are looking for a great groomsmen gift, our personalized poker chip sets are a great touch! Poker Chip Golf Ball Markers: There is nothing like a great day on the golf course. In recent years, poker chip ball markers have been becoming more and more popular. You can customize your markers on both the front and back. We also offer the option to have a special polybag with your marker and golf tees for a great corporate giveaway at a golf event or charity. Free Drink Chips: For those of you that own a bar or restaurant, custom poker chips are great as a free drink token. You can have your logo on one side and a free drink, appetizer, beer, mixed drink etc on the back. It is up to you! Las Vegas Tradeshow: Having a big tradeshow or event in Vegas? Nothing better than something to go along with the theme and make a lasting impression at your event. Put your information on one side with your booth number and a Las Vegas theme on the other side. Poker Night: We all love to have a great night with friends. A little poker, a good drink, a cigar and a high stakes evening, nothing like it! Creating your own personalized poker chips is the perfect touch to a night with the boys. We also offer custom coasters and playing cards for the perfect finishing touch. Casino Chips: CHIPCO™ ceramic poker chips are one of the most sought out types of chips in the poker market. As a premium poker chip style, these casino chips are completely customize on the edges, front and back. The graphic images are permantly embedded into the chip to resist fading and counterfeiting. Custom molded security features: One of the most secure methods of protecting ceramic chips is a custom molded ceramic chip with your casino or poker room's name embedded into the surface of the chips.